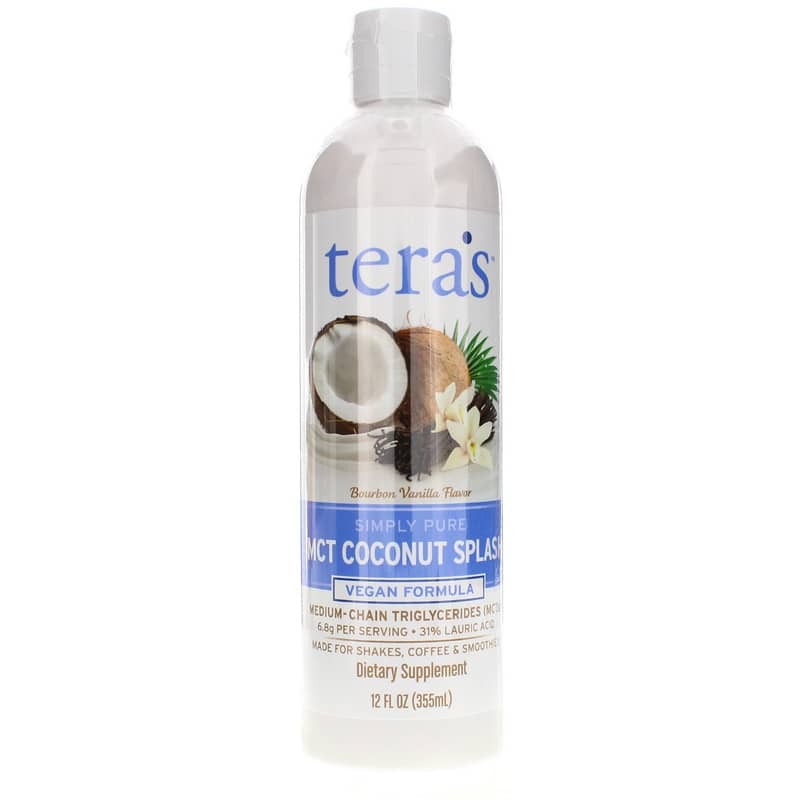 Tera's MCT Coconut Splash easily mixes into coffee, smoothies, shakes, oatmeal, yogurt and much more. Plus, you'll love the delicious organic bourbon vanilla flavor! Simple, pure and convenient way to add medium chain triglycerides (MCT) into your daily diet. 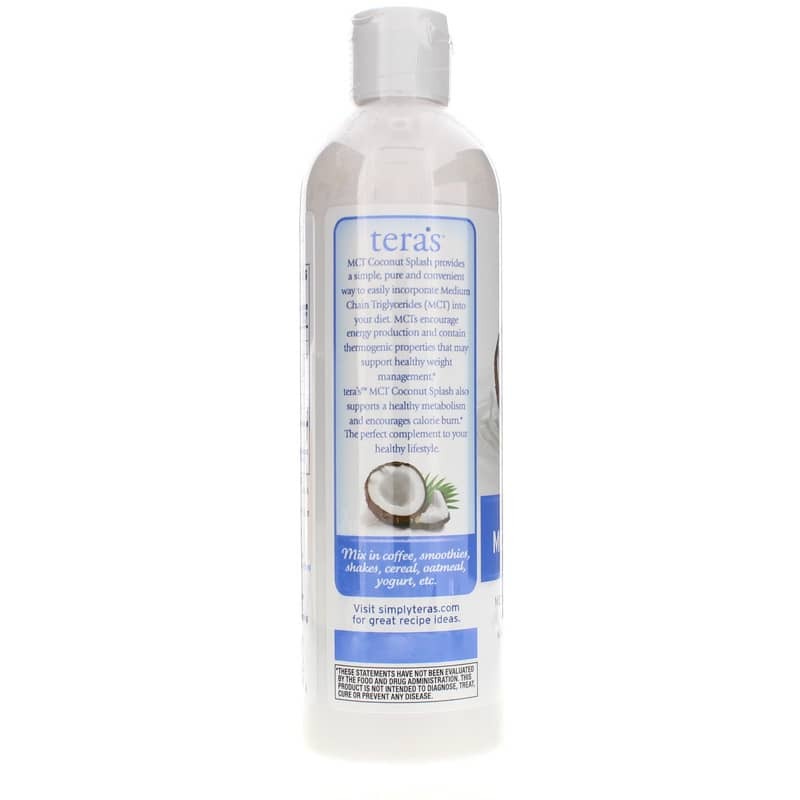 Ingredients: Coconut MCT Oil, Water, Gum Arabic, Organic Vanilla Extract, Monk Fruit Extract, Sorbic Acid. Contains NO: artificial flavors or colors, gluten, soy, dairy or animal derivatives. 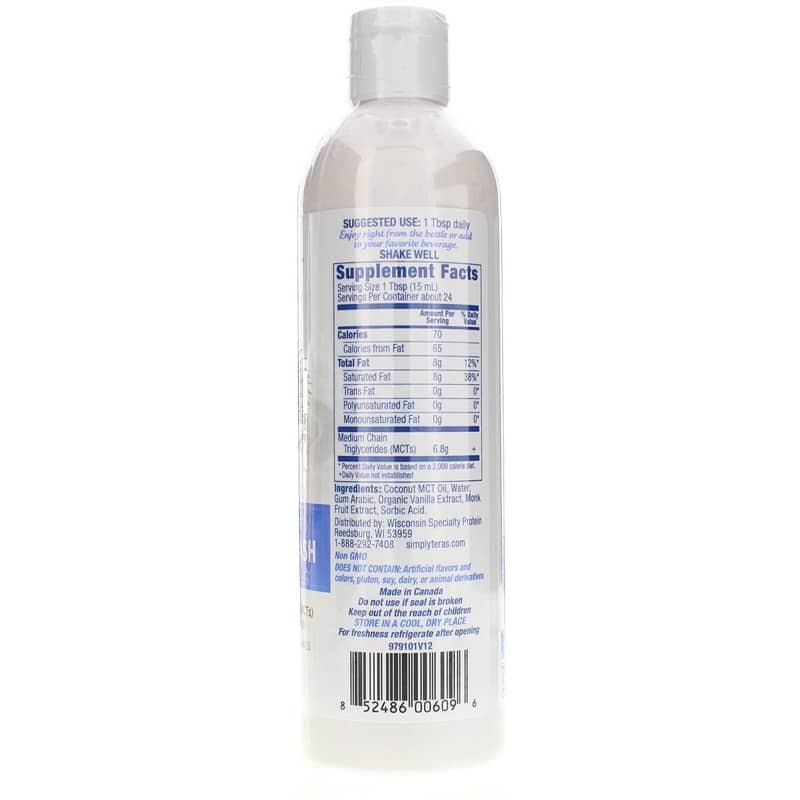 Adults: 1 Tbsp daily. Enjoy right from the bottle or add to your favorite beverage. For freshness, refrigerate after opening.